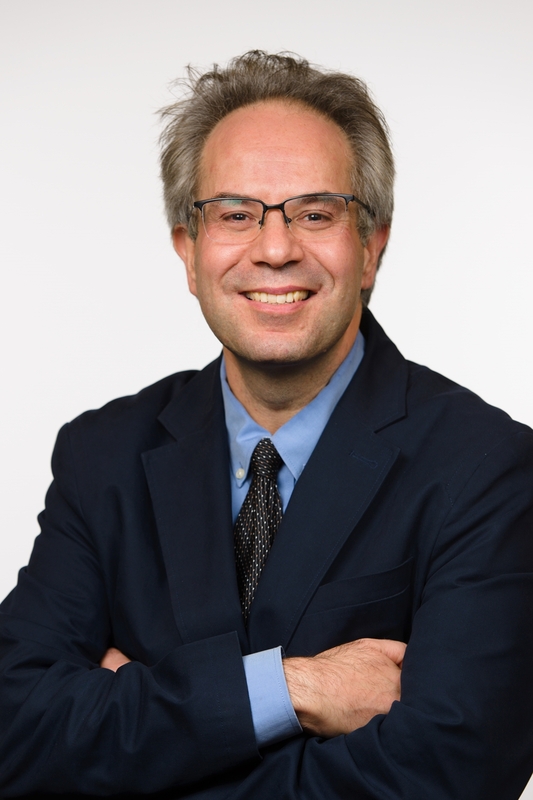 In May, Panoramaeditor Will Mackintosh grabbed the chance to ask incoming Journal of the Early Republicco-editors Andrew Shankman and David Waldstreicher a few questions. Here are some of the thoughts they shared with us about their upcoming tenure at the helm of the field’s leading journal. Will: What inspired you to throw your hat in the ring to be considered for Editor of the Journal of the Early Republic? Andy: I received some very nice encouragement from various people, which gave me the confidence that I could do the job. I view the JERas my intellectual hometown. It’s where I first became a published historian (working with then editors Mike Morrison and John Larson). And not surprisingly, the JERhas always been the journal I read the most carefully and learn the most from. It’s always provided the very broad understanding of political culture and exploration of the social and cultural relations at the heart of political and economic life that I try to explore in my own work. 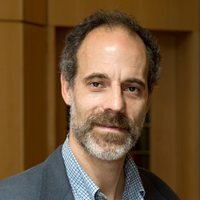 David: SHEAR has been an intellectual home for me—I gave my first paper at the conference twenty-five years ago, and I am still grateful for the support and appreciation SHEAR members gave me as a young scholar coming out of a graduate program where few of my peers were working in the period at the time. SHEAR is also where I learned the pleasures and practicalities of scholarly collaboration. The first book I co-edited (with Jeffrey L. Pasley and Andrew W. Robertson), Beyond the Founders,came out of a series of conversations at the annual conference. The same was true for the first article I co-wrote (“Abraham Bishop’s Vocation,”with Stephen Grossbart), which we first gave as a SHEAR paper, published in JERand which won the Ralph D. Gray prize. I’m especially excited to do this job with Andy Shankman, whose range and vision I have admired for some time. Plus he has promised me that we’ll have lunch at a certain Indian restaurant in Philly more often. A journal travels on its stomach. Or this one will anyway. Will: How do you see mission of the Journal of the Early Republicin relation to the larger field of early American history? Andy: Of course all of us SHEAR members know that the early American republic is central and formative for the history of North America, the Americas, and American history. The JERis the journal of record for this period, but I think one of the best developments of our scholarly moment is the way in which members of SHEAR are reaching out both spatially and temporally, while remaining grounded in the years 1776 to 1861 that bring us together as a scholarly community. I think the JERcan show scholars of the early modern period that so many of the questions that interest them, questions about (just to name a few) empire, race, political economy, state formation, gender, and what so many now call the history of capitalism, overwhelm traditional historiographical geographic and temporal cutoff points. For so many of the questions early modern and colonial North American scholars care about, the JERprovides the best scholarship on what I view as the late early modern period. The JERcan encourage all sorts of important conversations that should transcend specialist boundaries. I could also say something here about how scholars of the twentieth century could read the JERto stop making so many facile generalizations in the first chapters of their books, but I’m an editor now and that would be impolitic. David: When the SHEAR conferences began in 1977 and the journal in 1981, there was a sense, especially among political historians, that the field was being neglected or marginalized, at least as conceived in terms of period. Because of the good work that so many in the field did at the conference, in the journal, and elsewhere—especially the rigorous self-questioning about new concepts and organizing principles, the notable welcoming of younger scholars, and the successful expansion the organization undertook by broadening from 1789‒1848 to 1776‒1861—other period-based fields (think Journal of Civil War Era, and SHGAPE’s Journal of the Gilded Age and Progressive Era) have actually copied us, and more than nominally: SHEARites’ seeming strategic retreat has become the model. My hope is now that we can leverage our special responsibility for the period between nation-making and nation-(almost) breaking to find new ways to bridge U.S. national history with local, regional, and transnational and global histories, and to prod ourselves and colleagues to think across traditional periodizations while still exploring the meaning of events. The excellent Summer 2016 JERroundtable on “Politics in and of Women’s History in the Early Republic,”with its wide ranging and contrasting arguments about both the history and the historiography, is one model. The recent (Winter 2017) “Writing to and From the Revolution” joint issue with the William and Mary Quarterly, to which Andrew Shankman and I contributed articles, is another example, as indeed is Andy’s collectionThe World of the Revolutionary American Republic(reviewed by Daniel Walker Howe in JER), which revealingly and importantly insists on a long revolutionary period not reducible to the American Revolution and its effects. This is the kind of historiographically informed self-scrutiny among practitioners I would like to encourage, in articles and reviews as well as in the occasional special feature. Andy: Above all stewardship (which is an idea I’ve stolen from David) because I think the journal is in such great shape and has had such an impressive run of editors. So above all, I hope to do no harm. I’d like to involve the SHEAR community in helping us to think about special issues on topics that a large portion of our readers would like to see. For me, the core mission of the journal is to publish excellent original research drawn primarily from primary sources. But I also feel that we’ve never produced more high-quality scholarship at a greater (even overwhelming) rate than we are right now. I want to think about ways the JERmight help us to attempt some broad, synthetic thinking, and perhaps get scholars of different generations and scholarly focuses talking to each other. So many people are asking so many critical questions now about the nation’s origins—about race and slavery, gender relations, the role and nature of the state at all levels, about how all of that relates to capitalism and political economy, about the need to bring together historiographies about institutions, cultural and social relations and constructions, political though,t etc., scholarships that haven’t always engaged with each other as much as they might—it’s a tremendously exciting time to be a student of the early American republic, and I want to think about ways in which the JERcan continue to capture and convey that excitement. Will: How would you describe your style as an editor? What should authors and readers know about you? Andy: I will never forget the first time I spoke to an editor of the JER, Michael Morrison, at the 1997 SHEAR conference at Penn State (my first). I was in the revise-and-resubmit stage of what became my first published essay “Malcontents and Tertium Quids: The Battle to Define Democracy in Jeffersonian Philadelphia,”and I would characterize things at that point as much more heavily emphasizing revise than resubmit. Mike could not have been kinder or more encouraging when I nervously introduced myself. He emphasized how much they wanted to hear back from me. That first experience taught me just how essential the anonymous peer review process is for scholarship, how much better it makes our work, and what a duty it is for all of us to participate in the process from all directions, and at all stages, from the beginning to the end of our careers. My second effort to get published I sent to the WMQ. My initial effort had some good ideas and received a very thoughtful and careful read from then editor Phil Morgan. But, and 100 percent correctly, he gently told me he didn’t plan to send it out for review because I would be better off thinking more about it and following through on my ideas with more contemplation and research. I benefitted immeasurably from his kindly and wise guidance. After doing a lot more work, I decided the piece made more sense for the JERwhere Mike Morrison and John Larson again really put me to work on what eventually became in 2003 “‘A New Thing On Earth’: Alexander Hamilton, Pro-Manufacturing Republicans, and the Democratization of American Political Economy,”which received the Ralph D. Gray Prize. The treatment I received from Michael, John, and Phil shapes my editorial philosophy: care; and do everything possible respectfully to help scholars improve their work. Understand that sometimes that means peer review, but that sometimes it might not yet be time for it; but give every scholar who is caring enough to think and to try my committed attention and kindly, respectful attention. David: I try to put myself in the shoes of an author as much as I can. This is a lot easier having worked in a few different fields, written in various formats, had a career that has progressed through various stages, and having seen both trade and academic editors at work. Editing is a macro and micro proposition, and I try to keep both in mind while keeping the distinction clear, too. I also strongly believe that everyone has their own style and voice, and that the articles in a journal should not be so thoroughly rewritten in the editing process that they all end up sounding the same. Our best journals (maybe especially the best ones, which use more readers and sometimes have editors who can work on manuscripts full time) are sometimes guilty of this. So I try to get authors to see the pros and cons of how they write and make the most of it while suggesting strategies for dealing with the inevitable limits, difficulties or risks in the analytical and stylistic choices they have made. I am a stickler for good titles. Please don’t send in anything in which the title does not make at least some hypothetical reader curious as well asaccurately reflect the content: a good title does both. I like double entendre as much as the next person(s), but we should not have to read the essay to understand the title. Those who have read my stuff may have noticed that I don’t think we have to be dead serious all the time. Our ultimate subject is the human condition (or to be more au courant, the anthropocene); precisely because we are not stinting on its tragic dimensions of late, I think we might try harder to occasionally include, even dwell on, the humor of it. If early republic people and early republic historians didn’t make me laugh sometimes I’d have left their company long ago. Will: Since this is a digital publication, I have to ask: In 280 characters or less, what’s your vision for the Journal of the Early Republicgoing forward? Some of the many characters that will appear in the JER. 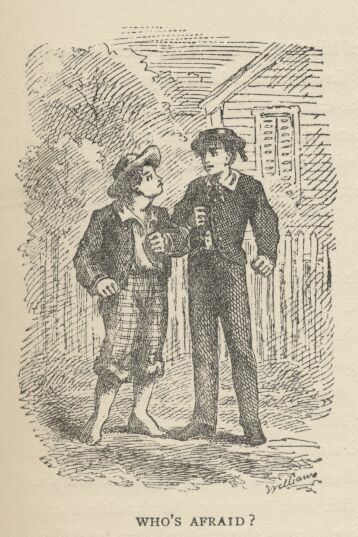 From Mark Twain, The Adventures of Tom Sawyer (Hartford: American Publishing Company, 1884). Andy: 280 characters? I still use a flip phone, surely you mean 140: Huckleberry Finn, Henry Flemming, Eliza, Uncle Tom, Simon Legree, Teague O’Regan, Chingachgook, Rip Van Winkle, Mr. Smooth-It-Away, Jo March, Margaretta Melworth, Alice Pyncheon, Becky Thatcher, Queequeg, John Montraville, Hank Morgan, Clara Wieland, Maude Mausel, George Peyton, Charlotte Temple, The Widow Douglas, Bartleby, Joaquín Murieta, Natty Bumppo, Constantia Dudley, Margaretta Airy, Arthur Gordon Pym, Clara Howard, Emily Hammond, Hiram Doolittle, Marmaduke Temple, Magawisca, Paul Flemming, Lionel Lincoln, William Fletcher, Horseshoe Robinson, Alexander Wormley, Fanny Campbell, Laurence, Wellingborough Redburn, Pap Finn, Hester Prynne, Frank Freeman, Pierre Glendinning, Israel Potter, Nina Gordon, Mag Smith, Elsie Venner, Bernard Langdon, Nick Whiffles, Eulalia Moreland, Myra Harrington, Simon Slade, Clotel, Ellen Langton, Nathan Slaughter, Tom Sawyer, Ruth Ellet, Gertrude Flint, Jack Engle, Miles Coverdale, Benjamin Boden, Wyandotté, Lionel Lincoln, Mary Conant, Joe Harper, Ellen Montgomery, Billy Budd, Lucy Temple, Carwin, the Biloquist, Alice Munro, Uncas, Charles Leslie, Edward Walcott, Hugh Crombie, Alida de Barbérie, Mary Musgrove, Arthur Butler, John Ramsay, Julius Rodman, Poindexter Greely, Henry March, Judith Hutter, Miles Wallingford Jr., Andries Mordaunt, Devil-Bug, Mark Woolston, Jack Tier, Roger Chillingworth, Starbuck, Alice Weston, Uncle Robin, Trueman Flint, Nan Grant, Tom Gordon, James Marvyn, Mary Scudder, Virginie de Frontenac, Miss Prissy Diamond, Reverend Mr. Carey, Helen Darley, Elsie Venner, Captain Farrago, Updike Underhill, Arthur Mervyn, Thomas Welbeck, Francis Carlton, Achsa Fielding, Eliza Hadwin, Betty Lawrence, Clemeza Lodi, Fannie Maurice, Walter Thetford, Lucy Villars, Amos Watson, Ephraim Williams, Eliza Wharton, Peter Sanford, Lucy Freeman, Charles Deighton, Nancy Sanford, Julia Granby, Edgar Huntly, Mary Waldegrave, Arthur Wiatte, Reynardine Bombo, Thomas Harrington, Harriot Fawcet, Jack Worthy, Eliza Holmes, Henry Pleyel, Muff Potter, Judith Loftus, Emmeline Grangerford, and, (though not keeping with the theme, because she is my favorite and could “reveal so frankly and with such sobriety/the economic basis of society”) Elinor Dashwood, Emma Wodehouse, Elizabeth Bennett, Charlotte Lucas, Jane Fairfax, Anne Elliot. David: We will do our best to continue to make the journal better and better, and strive to continue to make it a bigger tent, building on the careful work of the JEReditors I have known and admired: John Lauritz Larson, Michael Morrison, Roderick McDonald, Susan Klepp, and Cathy Kelly. Will Mackintosh is Associate Professor of History at the University of Mary Washington and the founding editor of The Panorama.